Magic Circle firms Freshfields Bruckhaus Deringer and Slaughter and May have rejuvenated longstanding client relationships to win lead roles on Swiss pharmaceuticals giant Novartis’ $13bn sale to GlaxoSmithKline (GSK) of its minority stake in their consumer healthcare joint venture. The deal, announced on today (27 March), sees London-listed GSK buy the 36.5% stake in the joint venture it didn’t already own from Novartis to assume full control of the business. The joint venture was forged in 2014 amid an asset swap between the two pharma heavyweights which saw them combine their respective consumer healthcare arms. Freshfields corporate partner Julian Long led on that transaction for Novartis and is now co-leading on this latest deal with Jennifer Bethlehem. Also in the team are tax partner Paul Davison and antitrust partner Rod Carlton, who also advised on the 2014 asset swap. Slaughters is advising GSK on the buyout, with a team led by partners David Johnson and Simon Nicholls, both of whom represented client on the formation of the joint venture. Financing partners Guy O’Keefe and Oliver Storey also worked on this latest deal, as well as tax partner Dominic Robertson and competition partners Bertrand Louveaux and Jordan Ellison. GSK’s internal legal team was led by Chip Cale and Antony Braithwaite. GSK is planning to launch a strategic review of its Horlicks drink brand and other consumer nutrition products with a view to raise cash for the acquisition, the company said in a statement. 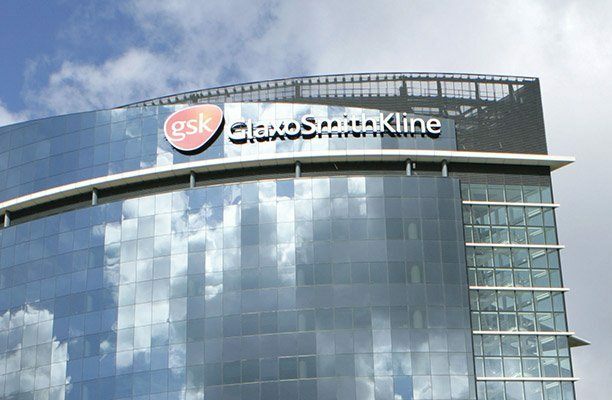 The review will also include GSK’s Indian subsidiary, GlaxoSmithKline Consumer Healthcare Ltd, according to the statement. Meanwhile, Addleshaw Goddard is advising UK high street sports shoe retailer JD Sports Fashion on its $558m acquisition of US counterpart The Finish Line. Addleshaw’s Manchester-based team was led by partner Roger Hart and included partner Martin O’Shea. Indianapolis-headquartered Finish Line is listed on Nasdaq with a market capitalisation of roughly $425m. Hughes Hubbard & Reed and Taft Stettinius & Hollister advised JD Sports on US law, while Faegre Baker Daniels advised Finish Line’s board of directors. Elsewhere Travers Smith has leveraged the recent trend for investment in payment services businesses to advise longstanding private equity client Equistone Partners Europe on its acquisition of UK-headquartered Small World Financial Services for a reported £80m. The Travers Smith team was led by private equity partner James Renahan and included tax partner Jessica Kemp and regulatory partner Stephanie Biggs. Sellers FPE Capital, MMC Ventures and the existing Small World management team were advised by Charles Russell Speechlys. Equistone made the investment via its sixth fund, Equistone Partners Europe Fund VI. Cross-border payment service provider Small World employs around 680 people across 16 countries and generates revenues in excess of £110m. 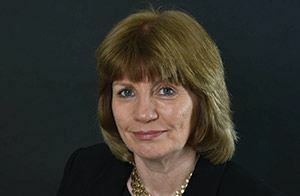 Waste management company Biffa has hired a new general counsel and company secretary, taking on GlaxoSmithKline’s interim assistant company secretary Rachael Hambrook. With over 30 years of experience in-house, Hambrook (pictured) has worked for a number of FTSE and International blue chip companies including BT, foodservice and support services organisation Compass Group, oil and gas company Ruspetro, Centrica and DHL Express UK. Her appointment comes during a time of change for the company. In October Biffa priced its initial public offering (IPO). The company listed on the London Stock Exchange pricing at 180p per share, giving a market capitalisation of £450m; a lower than expected level following the Brexit vote. The IPO had previously been expected to list at between 220p and 270p per share. Linklaters advised the waste management company on the float with Clifford Chance advising the underwriters. Hambrook replaces Keith Woodward who is retiring. He joined the Biffa as its company secretary in April 2006 having worked in-house for businesses such as Pimms, British Sugar and John Mowlem. Earlier this week it was revealed social media football start-up Dugout has appointed its first in-house counsel from Perform Group as it gains backing from some of the sport’s biggest clubs. The company has made Adam Lovatt its first in-house lawyer from Perform where he was group legal counsel until September 2016. Lovatt trained at Scots firm Maclay Murray & Spens before moving to IMG as a legal counsel. As GlaxoSmithKline (GSK) reviews its preferred law firms in a decision that could see the healthcare giant create a formal panel, Allen & Overy (A&O) has won the lead role to advise on its £1.35bn sale of drinks brands Lucozade and Ribena to the Japanese consumer goods company Suntory Beverage and Food (Suntory). A&O won the deal after a series of GSK’s preferred firms pitched for the role. The corporate team at A&O will include partners Edward Barnett and Andrew Ballheimer, with assistance from senior associate Nigel Parker and associate Matthew Appleton, alongside anti-trust partner Alasdair Balfour and employment partner Mark Mansell. Clifford Chance is advising Suntory, led by corporate finance partner Joel Ziff, who will work alongside fellow corporate partner Robert Crothers and lead associate Katherine Moir, as well as IT partner André Duminy. Slaughter and May is widely regarded as GSK’s go-to corporate firm, having previously advised on a string of major deals including last year’s £650m investment to increase its stake in its India and Nigeria subsidiaries; its acquisition of Maxinutrition from Darwin Private Equity in 2010; its agreement with Pfizer to create ViiV in 2009; and a €515m acquisition of the marketed product portfolio of UCB. However, GSK also operates a list of preferred firms for its legal advice and is discussing whether to set up a formal panel. According to a GSK spokesperson the details will be confirmed at the end of this year. The sale comes after GSK decided to increase its focus around a core portfolio of healthcare brands, with a particular emphasis on emerging markets, following a strategic review of Lucozade and Ribena in February this year. Annual sales of the two brands were approximately £0.5bn in 2012. Under the agreement, Suntory will acquire global rights to the brands with the exception of Nigeria, where GSK Nigeria will continue to manufacture and distribute Lucozade and Ribena under licence from Suntory. The transaction is expected to be completed by the end of the year, subject to regulatory approvals.